On Tuesday, May 15th, there was a physical altercation between students from Ballou high school and Somerset Prep DC during dismissal. This altercation stemmed from an incident that took place in the community a few weeks earlier-Lauren Catalano, principal at Somerset Prep DC, and Katreena Shelby, interim principal at Ballou High School, took immediate action, meeting with Councilmember Trayon White and other key stakeholders, to work collaboratively toward a common goal of school safety. It was jointly decided that it would be best for all involved if a restorative approach was used to address this situation. On Friday, May 18th, families and scholars involved in the altercation from both schools met at a neutral location and had a mediation with the support of Restorative DC, Metropolitan Police Department, and staff from both schools. The mediation was successful. While we are extremely pleased with the outcome of the mediation, there have been ripple effects on all families of scholars who attend both schools. As a result, both schools have issued letters to families, hosted parent meetings, and are available to answer any questions that families have regarding the events that transpired last week. On Wednesday, May 16th, Jaylin Wheeler, lost his life to gun violence. 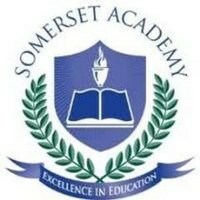 It has been confirmed by the Metropolitan Police Department that this had no connection to the altercation that occurred between students from Somerset and Ballou, despite the inaccurate allegations made by news media. Principals from both schools, along with the school communities, extend their sincere condolences to the Wheeler family. Given the sequence of events, many people have experienced anxiety, fear and anger. The safety of children while they are at school and at home is important to everyone. Violence in ward 8 has been a critical topic among community leaders and school authorities. Administrators from Ward 8 schools are scheduling a meeting to bring together school leaders, elected officials and other city agencies to discuss safe passage for all of the community's children. Over the coming weeks, more information will be released about these efforts and plans going forward.